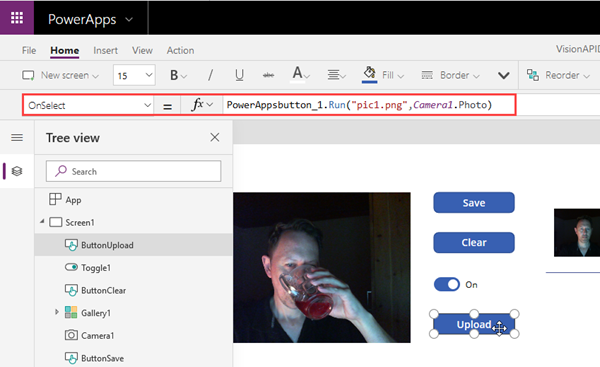 The PowerApp needs to deliver the image as "Createfile_FileContent" parameter that´s transformed here in a binary stream for storing as file. 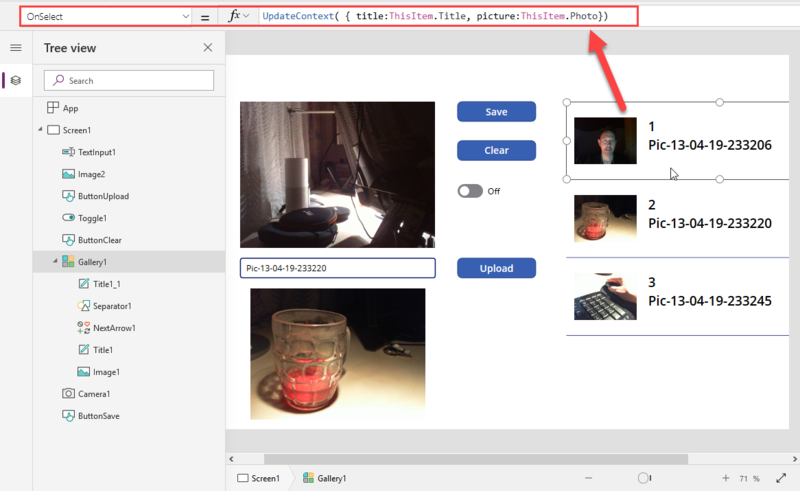 Then, the Compose Output is used for the file creation in the next step. For a detailed description, I found a step-by-step documentation at the Emtec blog team – thanks, guys! At the end, how to get pictures from a data source like SharePoint? 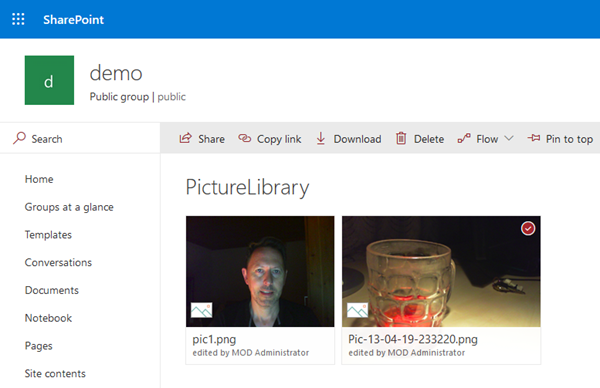 So, I added the SharePoint Picture Library as data source and added a second screen with Gallery2. 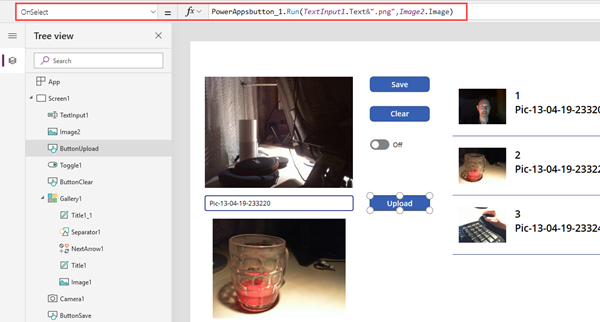 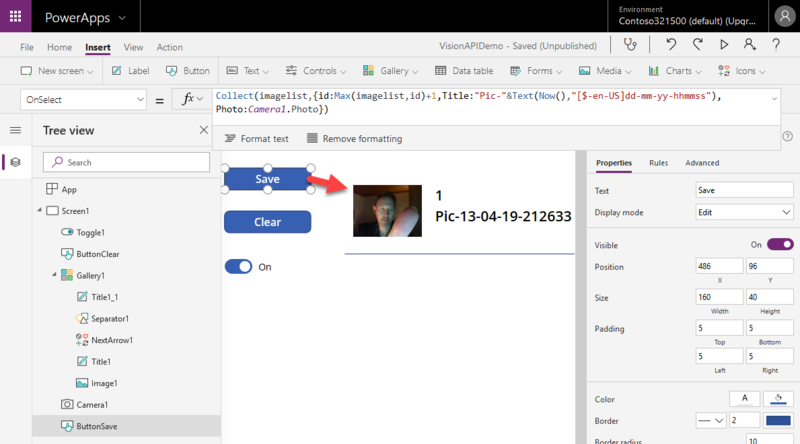 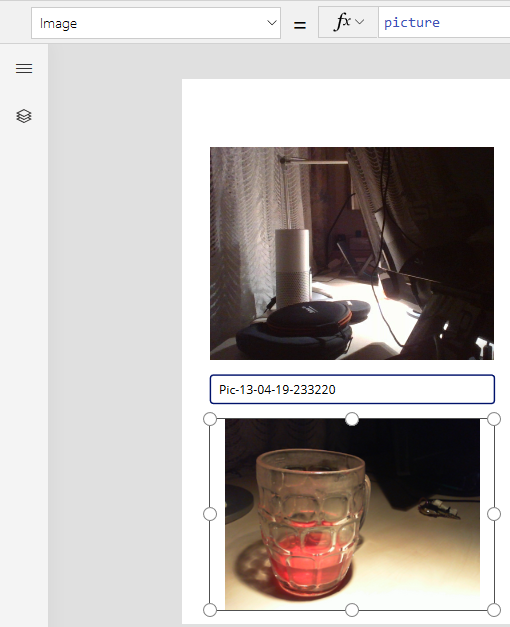 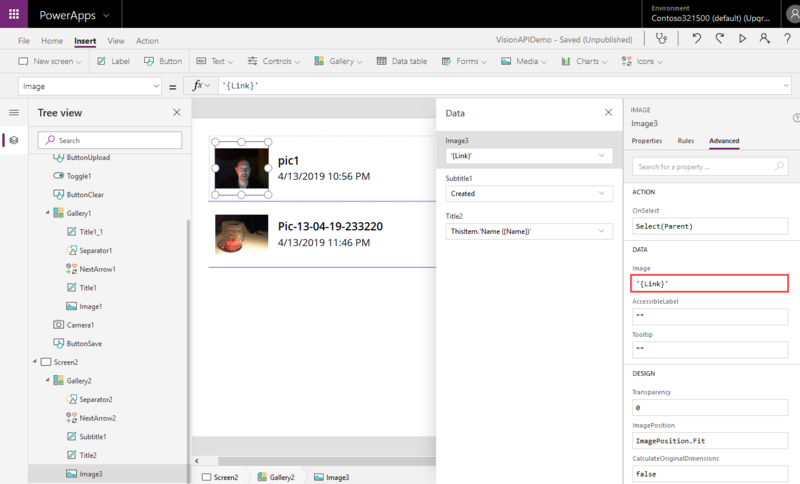 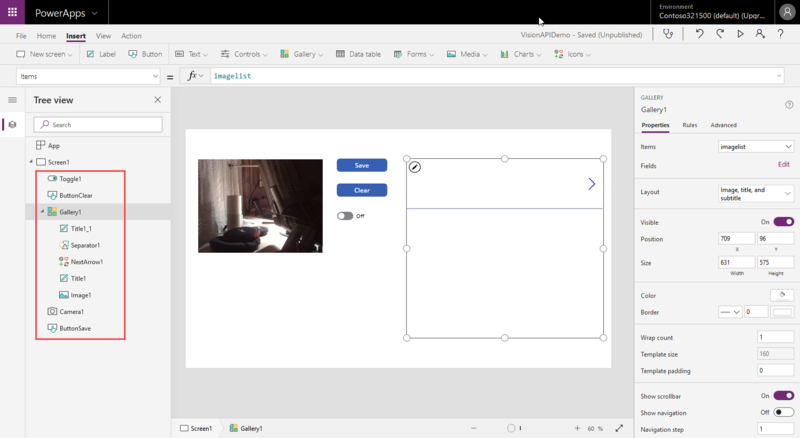 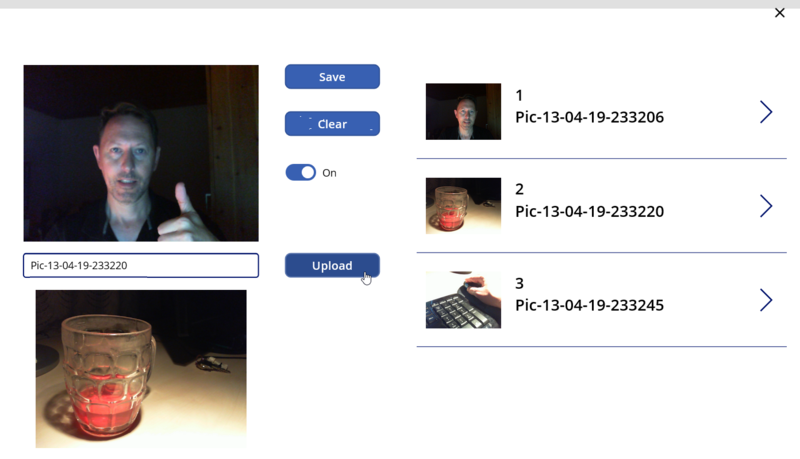 Well, you cannot select the data source Picture as Image source of the control… Then, a tip from Mikael saved me: How to display images from a SharePoint library in PowerApps. 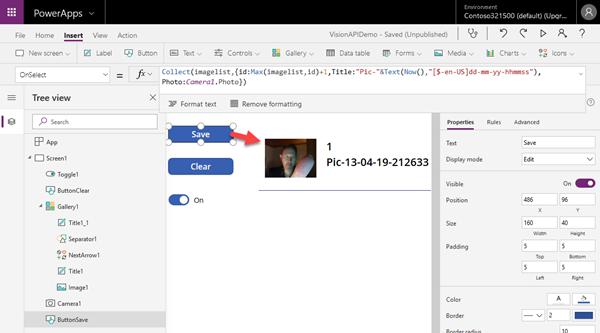 It´s important to mention, this currently only works in the web version of PowerApps and not on devices. 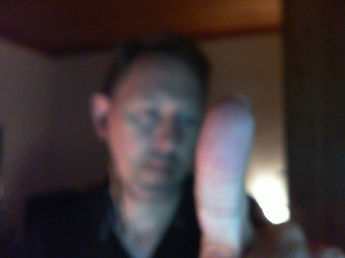 In the article´s comments there is helpful info, e.g. by Paul and by Bruce and an article at Display SharePoint images on mobile devices in a Canvas PowerApp to check out.